Bishop Borgess High School, of Redford, Michigan, To Be Held On October 13, 2018. This includes the Classes of 1970, 1971, 1972, 1973, and 1974. Hello, I finally posted the Pictures that were taken by the Professional photographer at the 3rd Reunion. You will see how to look at them or copy them below. I decided not to post a bunch of other peoples pictures on the web site this time. However, if you really, really, want to have one or two of your picture posted on the web site send it or them to me directly (jeffhucal@yahoo.com) and I will post it or them on the web for all to see RIGHT ON THE MAIN PAGE. THE 3RD REUNION WAS HELD!! IT WAS HELD ON OCT 13, 2018, AND WAS GREAT. See who bought tickets Below!! Which Took Place On Saturday, October 13, 2018, From 7PM Until 1AM, At the "FOUR POINTS BY SHERATON DETROIT NOVI" Hotel in Novi Michigan. 1970, 1971, 1972, 1973, and 1974. 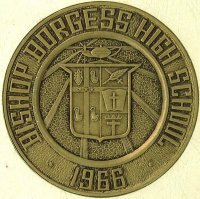 Bishop Borgess HS was located in Redford, Michigan, but as you may already know, is now closed. 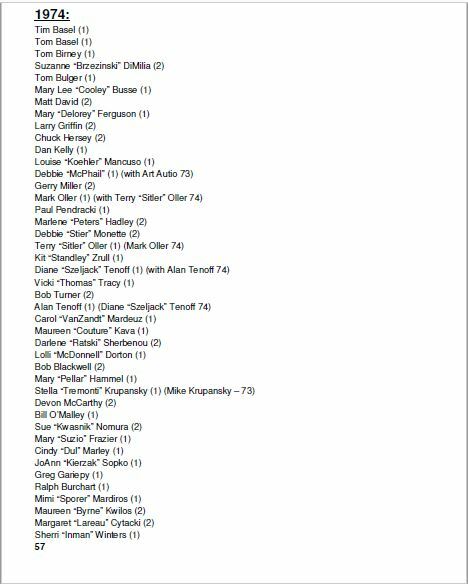 Go To The "LOW RESOLUTION 2018 REUNION PICTURE VIEWING PAGE HERE" - Click On The Underlined Text. Here's how it works. Click on the underline words (below) to get the "PICTURE DOWNLOAD PAGE". there you will see the file names of the pictures shown on the "MAIN REUNION PICTURE PAGE". Click on the file name of the picture you want. The full Resolution Picture will slowly open, but only one at a time. You only have to right click on it and save it on your own computer hard drive. Go To The "HIGH RESOLUTION 2018 PICTUREs DOWNLOAD PAGE"- Click On The Underlined Text. 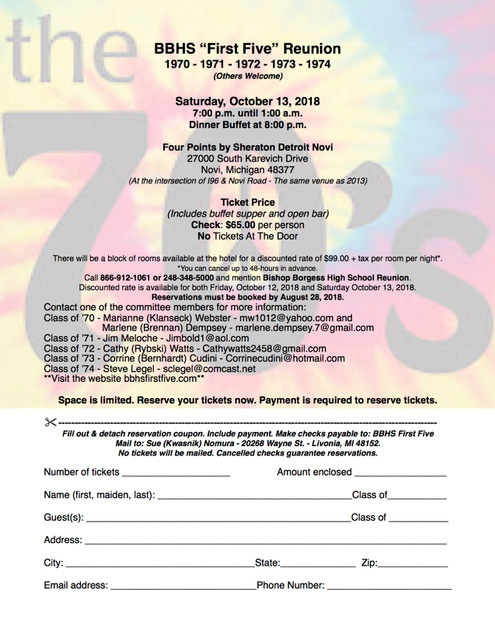 Posted is a List of the Classmates Who Had purchased tickets for the 2018 Reunion. There were 215 Tickets sold. There were also a bunch of people who crashed the reunion near the end. SHAME ON YOU. YOU ARE SUPPOSED TO BE CATHOLICS!! The Web Site Is Handled By Me, Jeff Hucal. '73 - Please Ccntact Me For Any Questions About The Web Site. 12-28-2018 - FINALY POSTED THE OFFICIAL PICTURES. 10-7-18 UPDATED WHO HAD PURCHASED TICKETS. NOW 215 WAS THE FINAL COUNT. 7-31-2018 - HOW ABOUT A NEW BACKGROUND COLOR. AREN'T YOU GETTING TIRED OF THE SAME OLD BLUE SWIRLY BACKGROUND FOR THE LAST 13 YEARS? I'M GOING TO CHANGE THE COLORS PERIODICALLY. SEE EVERYWHERE ON THE MAIN PAGE, HA HA!! Below is Our Mailer That We Had Sent Out. Go To The "MAIN 2013 REUNION PICTURE VIEWING PAGE" - Click On The Underlined Text. Here's how it works. Click on the underline words (below) to get the "PICTURE DOWNLOAD PAGE". there you will see the file names of the pictures shown on the "MAIN REUNION PICTURE PAGE". Click on the file name of the picture you want. The full Resolution Picture will open. You only have to save it on your hard drive. Go To The "FULL RESOLUTION 2013 PICTUREs DOWNLOAD PAGE"- Click On The Underlined Text. 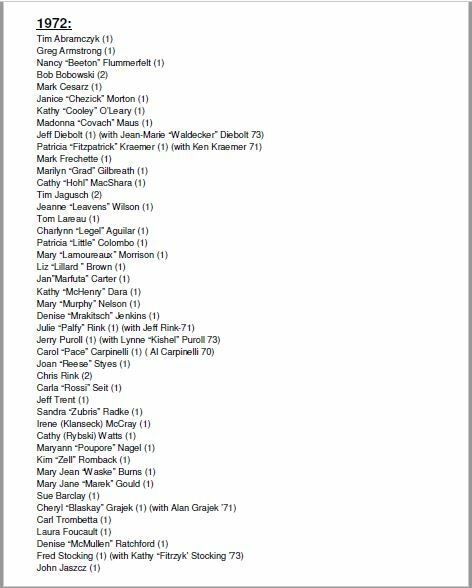 Go To The "MAIN 2008 REUNION PICTURE VIEWING PAGE" - Click On The Underlined Text. Go To The "FULL RESOLUTION 2008 PICTURES DOWNLOAD PAGE"- Click On The Underlined Text. You you know that There is a FaceBook account for Bishop Borgess Classmates you can Join? Search for "BISHOP BORGESS". It is my account but anyone can join. Just request so. 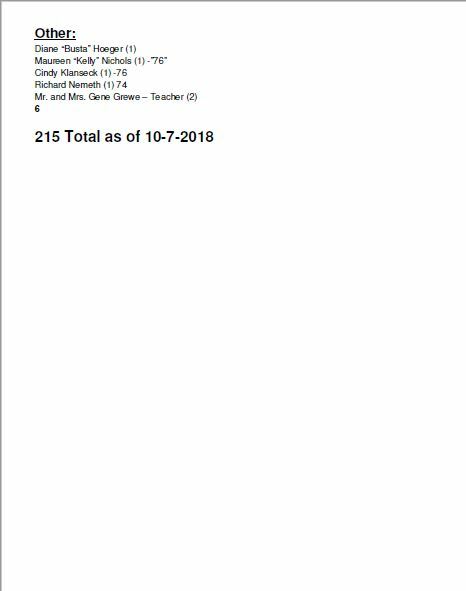 GO TO THE DECEASED CLASSMATES INFORMATION PAGE - This page has info about the Deceased Classmates. They Are All Here !! GO TO THE HARBINGER NEWSPAPER PAGE - This page has 29 Harbinger newspapers for you to read or download. They were provided by Carl Trombetta '72 who, for some reason, decided they were valuable to keep. And we are glad he did too!! GO TO "THE FIFTH ESTATE" NEWSPAPER PAGE - We have one for April 12, 1969, Also supplied by Carl Trombetta. GO TO THE WHAT HAPPENED THE YEAR YOU GRADUATED "1970" PAGE - This Page Has The World News And Events For The Year You Graduated, If You Graduated In 1970. !! GO TO THE WHAT HAPPENED THE YEAR YOU GRADUATED "1971" PAGE - This Page Has The World News And Events For The Year You Graduated, If You Graduated In 1971. !! GO TO THE WHAT HAPPENED THE YEAR YOU GRADUATED "1972" PAGE - This Page Has The World News And Events For The Year You Graduated, If You Graduated In 1972. !! GO TO THE WHAT HAPPENED THE YEAR YOU GRADUATED "1973" PAGE - This Page Has The World News And Events For The Year You Graduated, If You Graduated In 1973. !! GO TO THE WHAT HAPPENED THE YEAR YOU GRADUATED "1974" PAGE - This Page Has The World News And Events For The Year You Graduated, If You Graduated In 1974. !! See The Graduation Pictures For The Students of The First Five Graduating Classes (1970, 1971, 1972, 1973, and 1974). They Are In JPEG (.JPG) Format (When The Picture Is Being Viewed, Right Click And Select "Save As" To Save It On Your Computer). 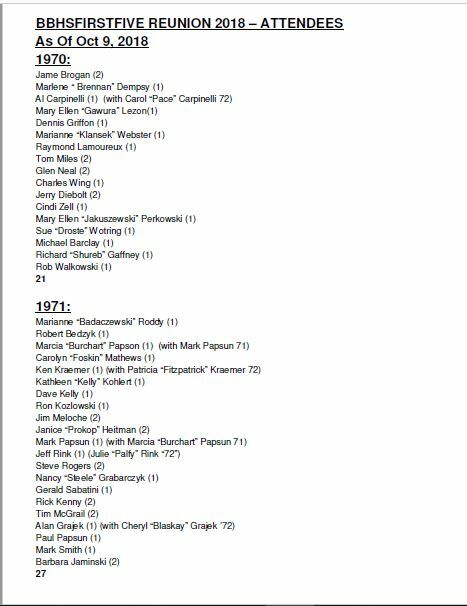 GO TO THE 1970 GRADUATION PICTURES PAGE - They Are All Here !! GO TO THE 1971 GRADUATION PICTURES PAGE - They Are All Here !! GO TO THE 1972 GRADUATION PICTURES PAGE - They Are All Here !! GO TO THE 1973 GRADUATION PICTURES PAGE - They Are All Here !! 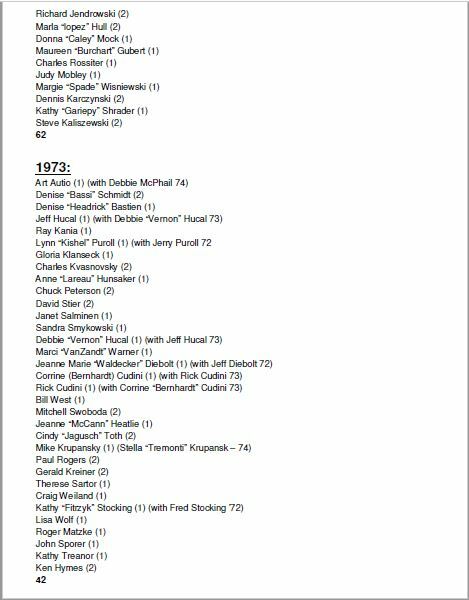 GO TO THE 1974 GRADUATION PICTURES PAGE - They Are All Here !! THE YEARBOOKS ARE HERE !! Oh Boy!! See And Get All Five Yearbooks (1970, 1971, 1972, 1973, and 1974). They Are In ,PDF Format (They open with Adobe Acrobat, Rev 5.0 or Greater). Available In Various Resolutions. Download Them And Keep Them Forever On Your Own Computer. See How Many Classmates Have Actively Looked at the Web Site! !